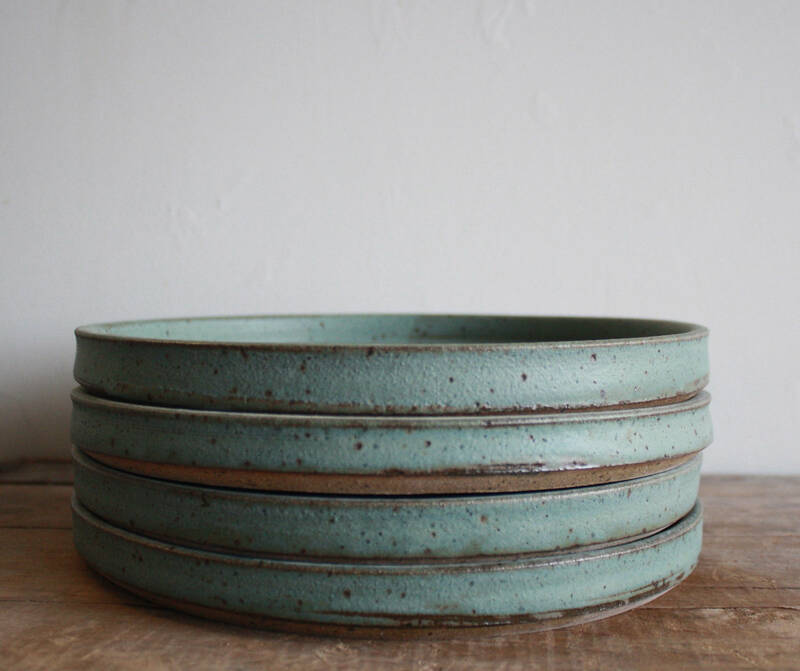 This listing is for ONE place setting (1 plate, 1 bowl, 1 cup) unless the quantity is changed. 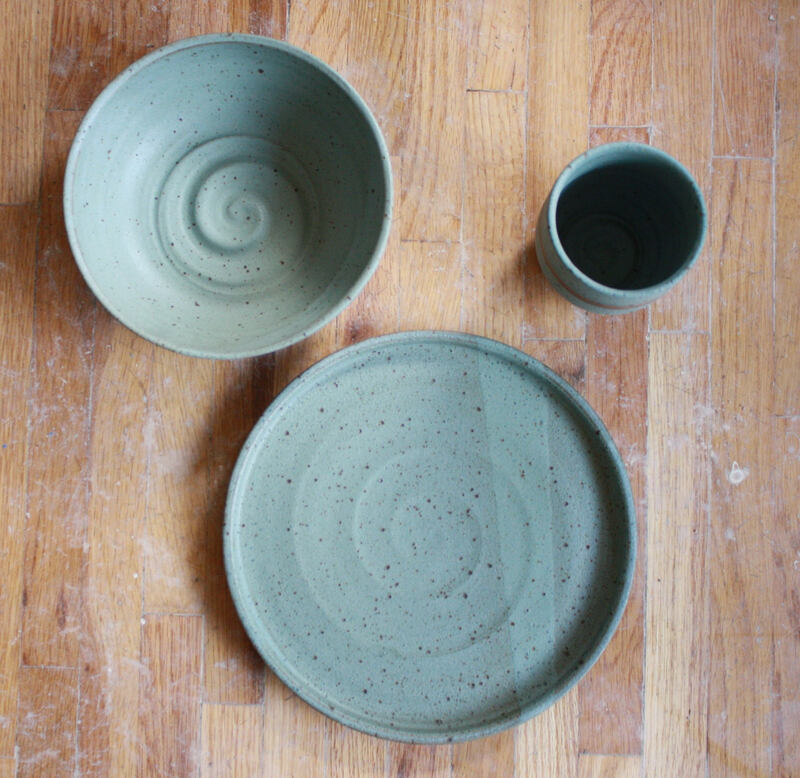 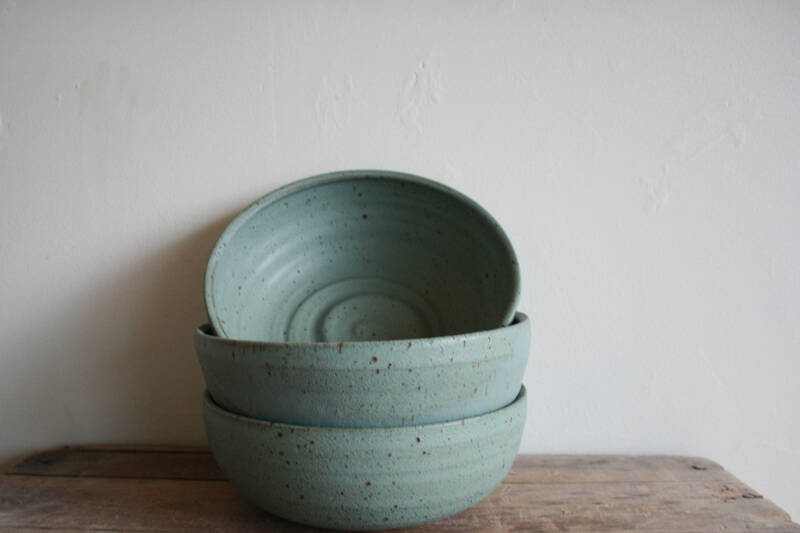 These wares are made from a iron red earthenware clay and glazed in a matte moss green. 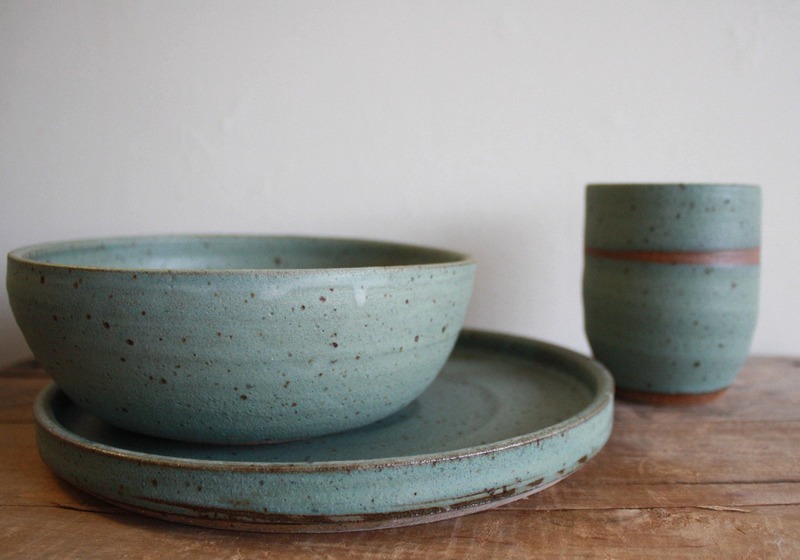 However, you may also choose from a few other glaze option. 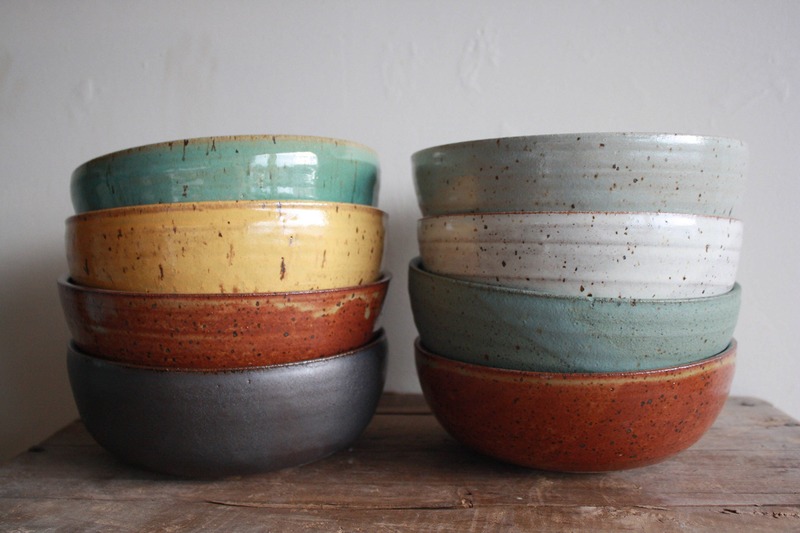 The last photo on the listing (the two stacks of bowls) shows all glaze options. 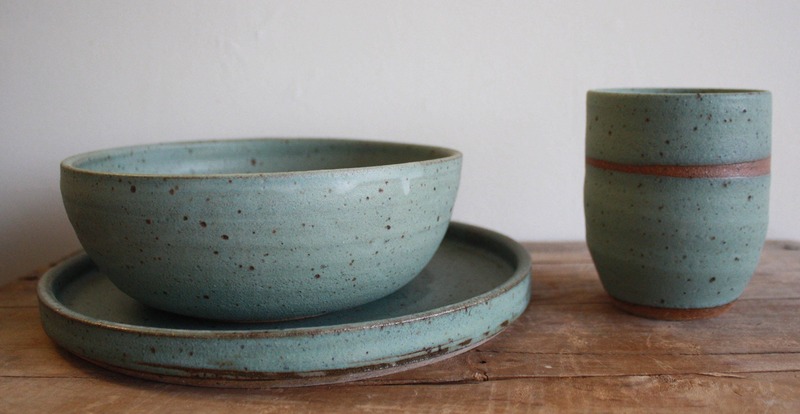 Teal, Mustard Yellow, Desert Green, Metal Brown, Grey, White, Moss Green, Desert Green. 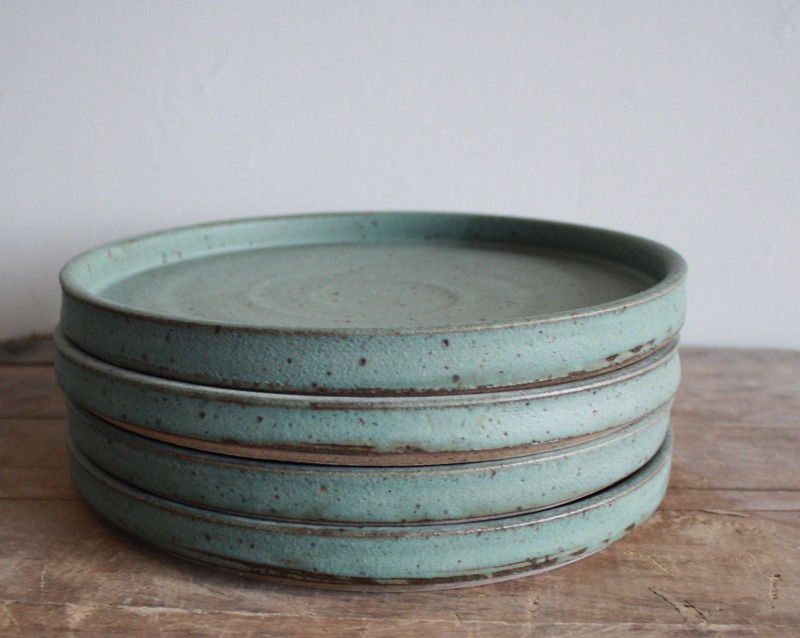 Plates measure approximately 10-11 inches wide and has a high vertical rim. 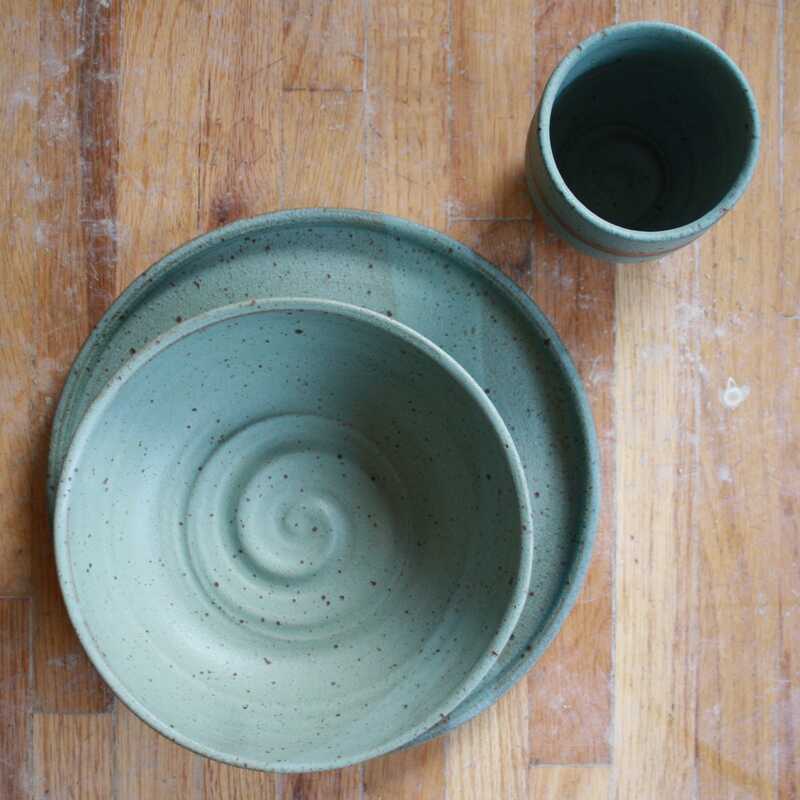 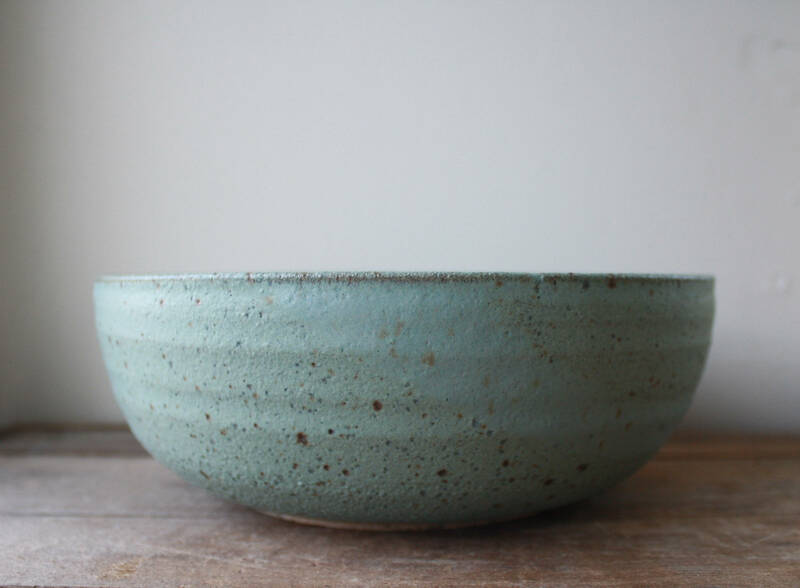 Bowls are a wider bowl (the same as the Ramen Bowl in my shop), measures about 8'' wide at the rim and 3'' tall. 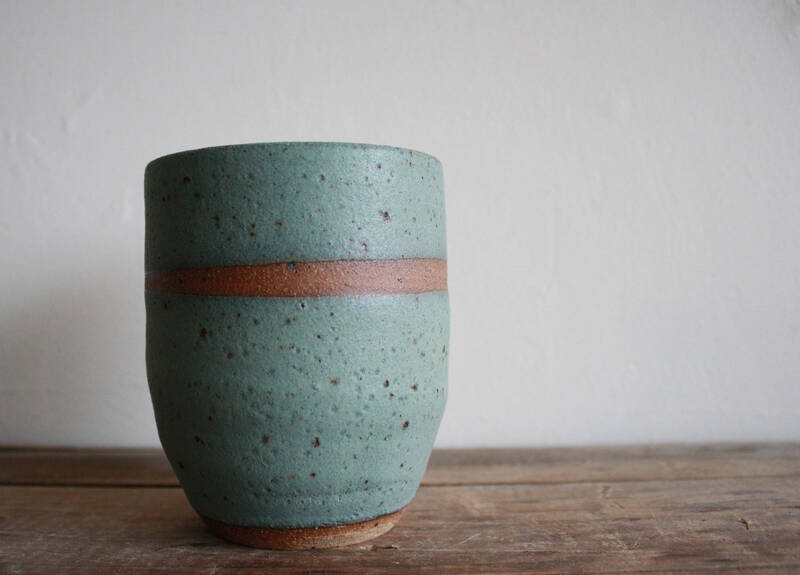 Tumbler holds approximately 12 oz.